Providing and managing end-to-end, integrated commissary solutions from deposit kiosks in the lobby to the commissary and trust accounting software and onsite staff at our client facilities. We also provide and support an extensive suite of fully-hosted applications to help manage correctional programs. US Commissary Solutions is led by a team with decades of experience as correctional agency Administrators, Program Managers, Wardens, and top executives of specialized industry vendors. Our team will work with you to create and implement a complete package of technologies and services that meet your unique needs. 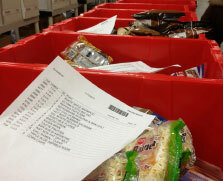 We run entire commissary operations from ordering kiosks to package delivery. US Commissary Solutions works only with best-of-breed component and application suppliers whose products are in active use at large correctional agencies. 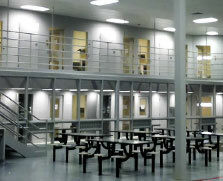 Union Supply Group has decades of experience working with every major vendor in corrections. We draw on the expertise and knowledge from throughout Union Supply Group to select only the most reliable technology partners and suppliers. 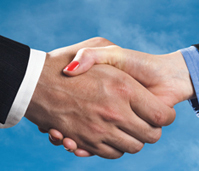 Our in-house technology teams then carefully integrate all the components needed to achieve each client’s goals. 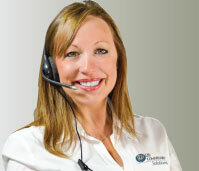 US Commissary Solutions also provides ongoing management and supports our entire solution with a seasoned, expert team. When you work with a true solutions provider you never have to worry about the installation, data-transition, training and support challenges that arise after buying new software. You don’t have to review spreadsheets to hunt for the pennies in a monthly sales report or to project next month’s revenue. Just list your requirements and let our experts design, implement and manage any systems and operational models necessary to deliver the results you demand. Technologically advanced and easy-to-use trust fund accounting services as well as deposit services, lobby kiosks, medical and commissary modules etc. U-TAB7 is a trademark of Union Supply Group, Inc. U.S. Patent No. 8,832,374. All rights reserved.